After rain and wind kept the drivers of the ProKart Challenge North series in their trailers during the Friday’s available practice day, they emerged ready for battle when Saturday dawned sunny and cool at the Jim Russell International Karting Center. As the temperature rose through the day, so did the excitement on the racetrack, as the Infineon Raceway facility provided the perfect venue for some close racing – including two of the races which were decided by less than four hundredths of a second. In the closest race of the day, Phil Giebler (FA Kart) won over a strong TaG Senior class when he nipped Bobby Kelley (Maddox) by a scant 0.008 seconds in a drag race to the line. In the S1 Pro Stock Moto class, Nic LeDuc (GP) scored his first PKC gearbox win by holding off a charging Brett Buckwalter (Italkart) at the end of the 20-lap run. LeDuc’s emergence in the PKC North program will put his name in the hat for the race win at the upcoming SKUSA SpringNationals, the opening round of the new Pro Tour. STA Racing’s LeDuc wasn’t the primary contender for the win this past weekend, however, as Fritz Leesmann (CRG) was certainly the man to beat. The Aluminos driver qualified on the pole ahead of Buckwalter by three tenths, and proceeded to score wins in both heat races to remain on the front row for the main. After getting off the line slowly and dropping to fourth, Leesmann worked his way back to the lead. It was not to last, however, as a broken shift arm put him on the sidelines, opening the door to the remainder of the field. Cameron Karting’s Buckwalter would assume the point, but LeDuc had worked into the challenge position and eventually took over the top spot before stretching a small advantage. Buckwalter would pick up the pace over the final laps, but came up just short, taking second to LeDuc. Tommy Thompson (Energy) came out of a hard-fought battle for third with the final podium position, finishing ahead of Jason Toft (GP) and Brad Dunford (CRG). With the opening round of their new Pro Tour just five weeks away, Superkarts! USA officials have put the finishing touches on the prize package that they have assembled for the series. With a prize payout total worth more than $80,000, the cash segment of the program features both event purse money for all three races and a year-end championship prize fund for the top drivers in S1 and TaG Senior. SKUSA is also offering supported entry into this year’s SuperNationals for the mid-season point leaders in TaG Junior and TaG Master, and paid entry into the entire 2011 Pro Tour for all nine class champions. SKUSA will also bring back the popular national number plates, and will offer up a very lucrative prize in the shape of guaranteed SuperNationals main event starting positions for the top-five in points heading into the biggest race of the year. The new TaG Cadet class is also in the prize mix with new Mini Rok engines being offered up to weekend event winners, leading up to a fully supported trip to the Rok International Finale for the category champion. The chase for these exciting offerings will begin at the SpringNationals at Infineon Raceway in mid-April, and as such, SKUSA is also pleased to release the host hotel information, which will no doubt be the epicenter of off-track action during the opener. The Pro classes on SKUSA’s new national tour – S1 and TaG Senior – will run for a weekend total of $3,500 in prize money at all three events. Each class will be awarded $1750 to the top three drivers in the overall cumulative point standings for the weekend. SKUSA President Tom Kutscher will present $1000, in cash, to the overall point winner in each class during the Sunday afternoon podium presentations. Second and third will receive $500 and $250, respectively. A championship point fund will be accumulated from race-to-race, and cash awards will be distributed to the top-three in the point standings for both S1 and TaG Senior. A driver’s accumulated points from all five Pro Tour events will determine the final standings. The champion will receive $5000, while second and third will be awarded $2000 and $1000, respectively. Online Shopping Cart Now Open For Pro Tour SpringNationals! The SKUSA online shopping kart is now open for entries for the SKUSA ProTour SpringNationals to be held next month April 16-18, at Infineon Raceway in Sonoma, CA. Click HERE to submit your entry online with a credit card now. Don't forget to get your SKUSA membership, as well. NOTE: The TaG Cadet class is ROCKIN' and the free engine promotion is just about sold out! Looking to build upon the momentum of the 2010 opener, the ProKart Challenge North returns this month for the second event of the season at the Jim Russell International Karting Center. Located on the grounds of Infineon Raceway in Sonoma, CA the Superkarts! USA Northern California regional series will attack the 7/10-mile national circuit on March 12-13. With the organization’s debut of the new SKUSA Pro Tour just around the corner – April 16-18 – this regional event will see a host of national contenders from outside the area looking to educate themselves on the facility and the MG Tires utilized in all Superkarts! USA events. Included in the cast of guests for the second round of the ProKart Challenge North program is veteran karting announcer Rob Howden. 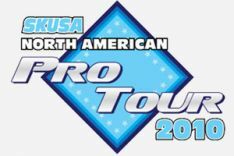 The owner/publisher of eKartingNews.com was the official voice of SKUSA during its ProMoto Tour days, and now with the debut of the new Pro Tour, Howden will be in California to warm-up his voice for the April weekend. Hot on the heels of the confirmation of the 2010 Superkarts! USA Pro Tour schedule, the organization is now focusing its attention on the opening round of the series – the inaugural ‘SpringNationals’ – which will kick things off on the April 16-18 weekend at the Jim Russell International Karting Center in Sonoma, CA. The newest piece of the puzzle has now been confirmed as SKUSA officials are excited to announce the expansion of their class structure, with the positioning of a new TaG Mini ROK class for drivers between the ages of 9-12. This class will be run as part of the Pro Tour this season, thanks to a support program that has been put together by SKUSA and Vortex, the engine’s manufacturer. This effort will be backed by a fleet of complimentary engines for the first two rounds of the series, motor packages offered for overall weekend race winners and a supported trip to the ROK World Cup for the Pro Tour champion. The new announcement of the TaG Mini ROK program is big for SKUSA and comes following an extensive research effort by the organization’s technical team, which saw the crew test several different powerplants over a period of several months. In an effort to open the door to all karters, SKUSA went on a search for the correct racing package for the Cadet-aged drivers, eventually deciding on the 60cc Mini ROK – which will be debuted on the national level in 2010 with its inclusion in the Pro Tour and the SuperNationals. It will also be available as a local option with SKUSA’s regional programs, should the support warrant a class on the schedule. 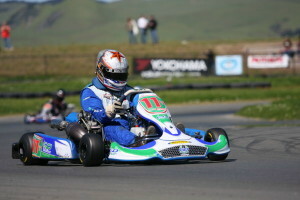 In 2011, the TaG Mini ROK will be introduced as an official Superkarts! USA category, both nationally and regionally. 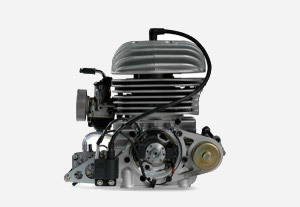 This engine has been in production for seven years and has a very tight spec, aggressively limiting the work that can be done. The specs will also be locked in for at least three years.